Teach a Song using ASL! I've just wrapped up teaching this month's song using sign language. I received several "technical" questions on how to use sign or ASL to teach a song. Seeing that I am no interpreter and am assuming a lot of other choristers aren't either, I've written up a few things that have worked for me. I like to occasionally use simplified sign language to teach songs in primary. It's also termed CASE: Conceptually Accurate Signed English. The Junior primary loves the large muscle movements and seems to retain the words better when they can put an action to it. And Senior primary seems to enjoy the challenge of remembering what hand motions go with what words. Since I don't know sign language - AT ALL, I just kind of "wing it" every time I teach it. I've actually had a few teachers tell me that they didn't know I knew sign language - ha! Fooled them!! Is it always correct? No. But that's not my intention. I couldn't teach the correct ASL to those little kids - especially where I don't "speak" it, myself. It would also be really overwhelming to me and the kids. So I omit most of the signs and usually only teach signs for the key words. Then I like to create my own notes. You can find some examples of my notes HERE (scroll through all of the posts). I personally wouldn't take a video into primary to teach from but that's just my preference. If you have any children in your primary who know ASL, a great suggestion may be to have them help you teach the song. I've never experienced this - if you have, I'd love some feedback! In order to teach the signs, you MUST know them beforehand - both the words to the song and the signs. I like to bring my notes because sometimes I get stuck and need a reference but I don't want to be stopping to read my notes throughout my entire lesson plan - BORING!! If clicking on the icon above doesn't work, you can also find it HERE. 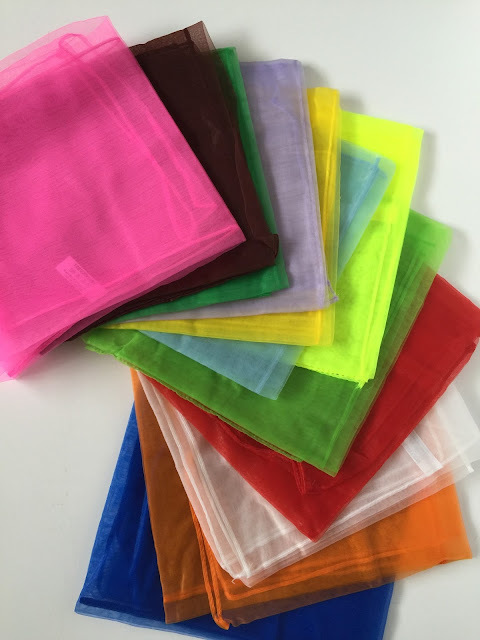 They were a little expensive but have proved to be a very valuable tool in primary - I have also been able to use them for other activities in primary. I just have the kids tie one on their pointer finger and we do our actions with the scarves. They provide a fun visual! I only bring these out AFTER the signs have been learned. They can be a distraction from learning the actual signs. Now, once you have your signs and song learned, you need to teach them to the kids. To introduce the song, I have the kids watch me sign the entire song while it is played on CD. Usually by the end, they are all trying to sign with me anyway ;). Then I like to quiz them to see if they recognized any of the signs I did that correlated with some of the words. When I learn the signs, I usually learn them backwards (or with the wrong hand - I mirror what I see in the videos). Then when I start signing in primary, I practice with the kids mirroring some simple actions. I'll wave with my left hand and ask them to pretend we are looking in a mirror - what hand would they use? Then we practice with the other hand by patting our heads or something. So when I move my left hand, they move their right and vice versa. I like to try to have one song learned in ASL for the program. 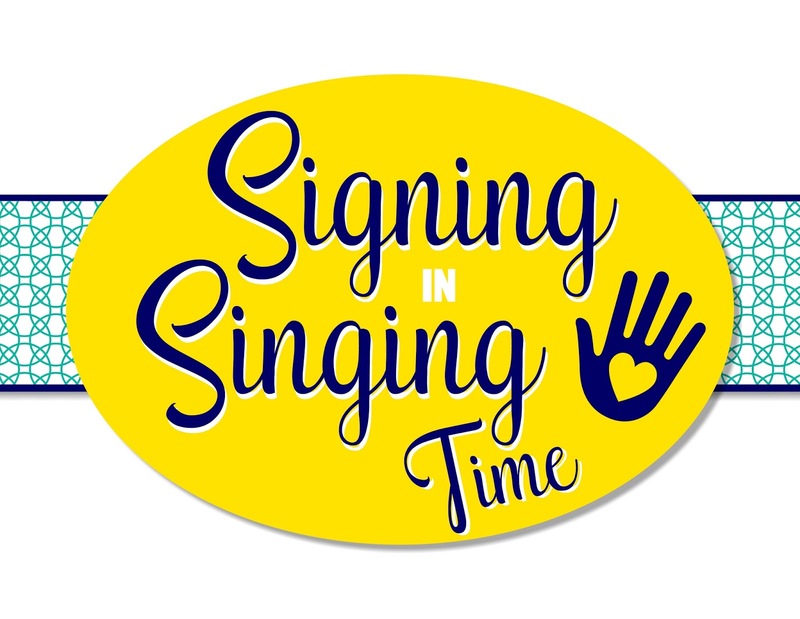 In the past, we've performed a song by only signing it, then repeating it with singing and signing. It's pretty neat! I've created a "Sign Language" label that is on my "Index" tab at the top for quick reference. It includes any of my lesson plans I've taught using this method of teaching songs. What are tips that you use when teaching sign language in primary? Leave a comment with suggestions! Thank you!!! I was looking for a good ASL dictionary and your resources are awesome! Thank you!! I love you blog! Keep it up! I have a friend who says you can take the ASL church videos and slow them down. This makes it easier to learn them. These are all great resources, thank you! I have been trying to find the church's ASL library with difficulty for a while now. If any music leader has a d/Deaf member in their ward, I would urge using them as a resource first out of respect for Deaf culture (and to maintain language integrity). This includes having them teach the signs to the children in singing time. One of our Deaf members teaches the songs in ASL; she is great at teaching simplified sign language and the kids love having her. With the songs we know in ASL, we use them as a reverent activity to help invite the spirit if it's too rowdy. I have everyone sign the song with no piano, singing, humming or saying the words. They have to be reverent because it takes all of their attention!